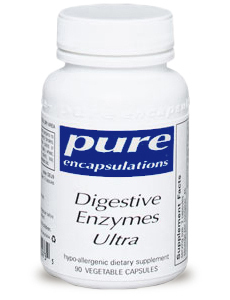 Home › General Wellness › The Importance of Digestive Enzymes! Food enzymes can only be consumed by the foods we eat. As we chew these foods, we release digestive enzymes. Digestive enzymes (protease, amylase, and lipases) are secreted along the digestive tract to break down the foods we eat into nutrients and waste. If a sufficient amount of digestive enzymes are available, nutrients will be carried into the blood stream and waste will be properly disposed of. Metabolic enzymes speed up the chemical reaction within our cells and are responsible for the growth, repair, and maintenance of all tissues and organs in the body. Metabolic enzymes also help detoxify the body keeping it clean and healthy. Every organ, tissue and cell in our body depends upon metabolic enzymes and the energy they release, these enable us to feel, hear, move, see and think. When food is poorly digested (i.e., poorly broken down as occurs with enzyme deficiency), vital nutrients are mostly un-usable. Your immune system considers partially digested food a toxic invader that finds its way into the blood stream (macromolecules) and will use up its valuable energy to destroy it. Additionally, metabolic enzymes then spend their time cleaning the blood of these “destroyed” invaders. This means that both the immune system and your metabolic enzymes’ resources are not being fully used to repair and protect the rest of your body, as they were meant to do. The health consequences over time are staggering, and are discussed in some detail below. Unless you consume all of your meals in their raw, natural state, supplemental digestive enzymes may be needed every time you eat. Digestive enzymes are required for the proper digestion of foods and the absorption of essential nutrients from those foods. Unfortunately, enzymes are mostly destroyed by heat – In fact, enzymes tend to become deactivated at wet-heat temperatures of 118 degrees and dry-heat temperatures of 150 degrees. Since most of the foods we eat are cooked or processed in some way and since the raw foods we do eat contain only enough enzymes to process that particular food, our bodies must produce the majority of the digestive enzymes we require. Unfortunately, stress, caffeine, alcohol consumption, as well as aging, limit our body’s ability to manufacturer enzymes. For these reasons, it is recommended that you supplement your diet with digestive enzymes. * When our body has an abundance of enzymes, it can repair and protect itself from damage against many degenerative diseases. Following is a more in depth discussion concerning the necessity for each of the above enzymes. Known as a “starch blocker”, amylase is the primary enzyme responsible for carbohydrate digestion, it breaks down starch into sugar. It is produced by the mouth’s salivary glands as well as from intestinal and pancreatic juices. It is what the body needs to break down starches and complex sugars. If carbohydrates are eaten in excessive amounts, the body changes them into fats and stores them in that form. When taken in combination with starchy foods, starch blockers (amylase) have been known to decrease rising blood sugar levels in both diabetics and non-diabetics. Research suggests that this result could prove valuable in treating a variety of blood sugar disorders. Abscesses – In addition to digesting carbohydrates, amylase also digests dead white blood cells (also known as pus). If you are deficient in amylase, you are a candidate for abscesses, (pus without bacteria). Inflammation – Since amylase is involved in anti-inflammation reactions, such as the lung and skin, a deficiency can trigger respiratory issues such as asthma attacks and skin conditions such as eczema, psoriasis, dermatitis and other allergic reactions. Phosphorus deficiency – Carbohydrates require phosphorus; therefore, consumption of excess carbohydrates can result in a phosphorus deficiency. This type of a deficiency includes: inflammation of the gastrointestinal tract, stiff joints, and thick blood. Also – Remember, amylase is also found in the pancreas. In more severe cases of amylase deficiency, hepatitis, or chronic pancreatitis may occur. The lipase enzyme is produced in the pancreas and it is responsible for the breaking down of dietary fats, in particular triglycerides. Triglycerides are fat molecules that are produced by the digestion of food with the help of the lipase enzyme. Triglycerides are broken down into four parts: one part is converted into a basic sugar called glycerol; the other three parts become fatty acids. Fatty acids yield large quantities of ATP. ATP serves as the immediate source of energy for our body’s cells. It increases energy and stamina, builds muscle density, increases muscle strength, buffers lactic acid buildup, delays fatigue and preserves muscle fibers. ATP powers nearly every human function. We all need some triglycerides for good health; however, high concentrations in the blood are indicative of too much starch and fat in the diet. In other words, high triglyceride levels occur when the calories we consume exceed the calories we use. Increase in “bad cholesterol” – As stated, lipase helps to control and remove fats from our blood. Perhaps the most striking change in a lipase-deficient diet is the tendency toward high cholesterol, high triglycerides, and difficulty losing weight. Hypochlorhydria – Lipase requires the coenzyme chloride. Therefore, a lipase deficiency causes low chlorides in our electrolyte balance, which is known as hypochlorhydria; hypochlorhydria, can lead to a Vitamin B12 and other mineral deficiencies. Without enough hydrochloric acid a person can have malnutrition even with an excellent diet. It is estimated that 47% of the people in the U.S. have hypochlorhydria, in part due to the increase use of antacids marketed as a good source of calcium. Some of these symptoms can include: burping, upset stomach, burning, flatulence, diarrhea, nausea when taking supplements, post adolescent acne, rectal itching. Inadequate cell nutrition – A lipase deficiency cause’s decreased cell permeability, meaning nutrients cannot get in and the waste cannot get out. The body begins to break down, energy and stamina decrease markedly. High Triglycerides – Triglycerides not converted to fatty acids are stored in the body until they are needed for energy. Again, high concentrations of triglycerides in the blood are indicative of too much starch and fat in the diet; in other words, high triglyceride levels occur when the calories we consume exceed the calories we use. Water soluble fiber forms a bulky gel in the intestines that regulates the flow of waste materials through our digestive tract and tends to make you feel full (ex. Oatmeal, apples, strawberries, nuts, beans etc). Water-insoluble fiber binds with water (collects it) to make stools softer and bulkier in the large intestine, this promotes bowel movement. As the bulk works its way through the intestine, it scours (cleans) the intestinal walls of waste matter, reducing the risk of colon-related problems (ex. Whole grains, vegetables, brown rice, etc). Malabsorption syndrome – This includes impaired absorption of nutrients, such as vitamins and minerals, from the diet by the lining of the small intestine. Malabsorbtion symptoms include: lower abdominal gas, bloating and pancreatic problems. Constipation – Since fiber increases the weight and size of your stool, and softens it, a lack of properly digested fiber can produce constipation. Type 2 Diabetes – Fiber, particularly soluble fiber, can slow the absorption of sugar, which for people with diabetes can help improve blood sugar levels. A diet that includes properly digested insoluble fiber has been associated with a reduced risk of developing type 2 diabetes. Higher cholesterol levels – Properly digested fiber helps lower cholesterol by absorbing fat and cholesterol from foods. It also helps you feel fuller longer. Increased risk of certain diseases – According to John Hopkins Medical Center, properly digested fiber lowers the risk of certain diseases and conditions that can put your life at risk. These include: heart attack, high blood pressure, stroke, obesity, and certain cancers. Proteolytic enzymes, also known as proteases, are a group of chemicals responsible for breaking down protein. Enzymes such as: pepsin, trypsin, chymotrypsin, protease, pancreatin, serrapeptase, nattokinase, papain, and bromelain belong to this enzyme family. Every animal, including humans, must consume an adequate amount of protein in order to grow and maintain itself. Proteolytic enzymes are needed by the body to break down proteins to extract the amino acids that are needed by the body. Protein is also needed to carry protein-bound calcium in the blood. A deficiency of proteolytic enzymes contributes to many calcium-deficiency diseases, such as arthritis and osteoporosis. Calcium-deficient diseases – Insufficient protein-bound calcium lays the foundation for arthritis and other calcium-deficient diseases, such as: osteoarthritis, osteoporosis, and degenerative disc problems. Hypoglycemia – Since almost half of our ingested protein is converted to glucose upon demand, inadequate protein digestion leads to hypoglycemia, which include symptoms of: mood swings and irritability. Edema – A condition that causes the body to retain fluid in the ankles, feet, legs arms, lungs and heart can also be caused by inadequate protein in the blood. Proper levels of blood protein helps prevent the fluid in our blood vessels from leaking out into our tissues. Other common symptoms – Slow-wound healing, weakness, fainting, thinning/brittle hair and deep ridges in the finger and toe nails. Lactase is the enzyme that breaks down the lactose in milk and dairy products. Lactose is the sugar found in milk and foods made with milk. Lactase deficiency can lead to lactose intolerance. Most of us product lactase naturally in the body; however, many may require lactase supplementation to ingest lactose-containing products. Symptoms of lactase deficiency – include difficulty digesting dairy products, diarrhea, bloating and gas. Under ideal conditions, our bodies are designed to produce enzymes naturally in the amounts that are needed. However, factors such as poor diet, excessive consumption of fats and sugars, alcohol, smoking, age, stress, illness and environmental pollution can cause enzyme deficiencies. These factors require excessive production of enzymes, and after a time, the body tires of producing mega doses of enzymes at such a fast pace. Perhaps the worst enzyme-robbing factor listed is poor diet. Foods that are cooked, microwaved, chemically altered, or processed in any way, destroy essential enzymes. Remember… Without the needed amount of enzymes to process foods, we cannot obtain the nutrients our body needs to function properly. *If you are currently pregnant, lactating or taking prescription medication, including anticoagulants you should consult your health care provider before adding enzyme supplementation to your daily regimen. Do not administer to children without the approval of your child’s pediatrician. Do not take enzyme supplementation two weeks prior to surgery. Given that our meals tend to include a mixture of fats, starches, dairy, proteins and sugars, most high-quality digestive enzyme include a well-rounded combination of the five enzyme classes discussed above. A comprehensive blend of vegetarian digestive enzymes providing support for protein, carbohydrate, fat, fiber and dairy digestion! Digestive enzymes are secreted along the digestive tract to break down the foods we eat into nutrients and waste. Metabolic enzymes speed up the chemical reaction within our cells and are responsible for the growth, repair, and maintenance of all tissues and organs in the body. Unless you consume all of your meals in their raw, natural state, supplemental digestive enzymes may be needed every time you eat. Enzymes are mostly destroyed by heat – In fact, enzymes tend to become deactivated at wet heat temperatures of 118 degrees and dry-heat temperatures of 150 degrees. Since most of the foods we eat are cooked or processed in some way and since the raw foods we do eat contain only enough enzymes to process that particular food, our bodies must produce the majority of the digestive enzymes we require. Unfortunately, stress, caffeine, alcohol consumption, as well as aging, limit our body’s ability to manufacturer enzymes.